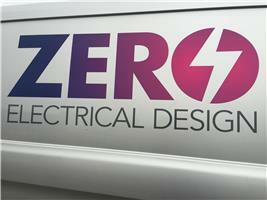 Zero Electrical Design Ltd - Electrician, Telecommunications based in London Road, Hampshire. Zero Electrical Design Ltd is a friendly professional company. We have been operating for the last 6 years but have many years experience. Our team including office staff are committed to 100% customer satisfaction and believe that standard is key. We are proud members of the NICEIC as well as Checkatrade and carry out all aspects of electrical work. Please feel free to contact us no matter how big or small your request maybe.